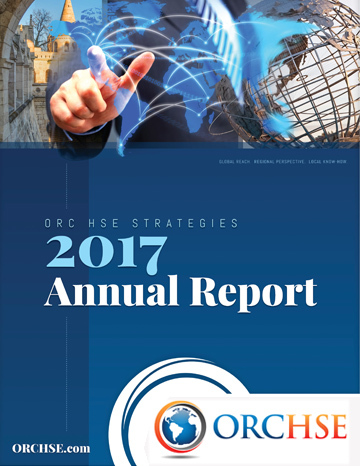 ORC HSE has been helping companies achieve HSE performance excellence by providing thought leadership and fostering constructive working relationships with leaders and policymakers in government, labor, industry, and key professional organizations. And this past year was no different – 2018 was another banner year for the organization. 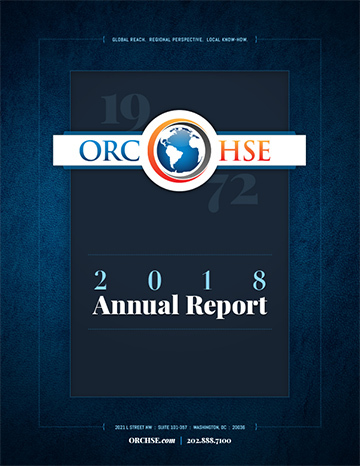 ORC HSE is committed to providing unparalleled health, safety, and environmental (HSE) services to our member companies, and to furthering the HSE mission. This Report provides highlights of the organization’s accomplishments in 2018. At the outset, we want to acknowledge the contributions of our members, without whose continued commitment and support ORC HSE would not have accomplished what it has or be where it is today.